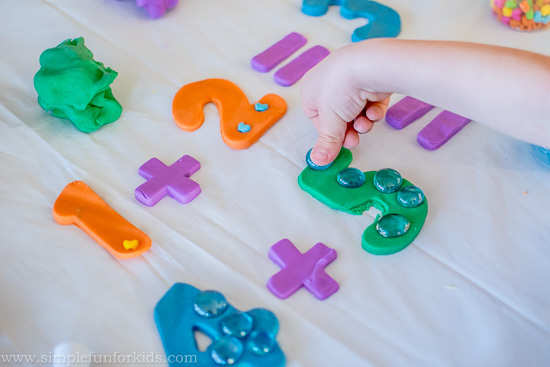 E still likes to work on her addition facts, so after the Preschool Addition Game with Chicks and Eggs and the Owl Addition 1-10 printable, we came up with another way of learning about them in a hands-on way: Play Dough Addition! Beads, gems or similar small manipulatives. E has played with play dough a LOT over the last several weeks, so it was only natural to use it for learning activities she’s interested in. 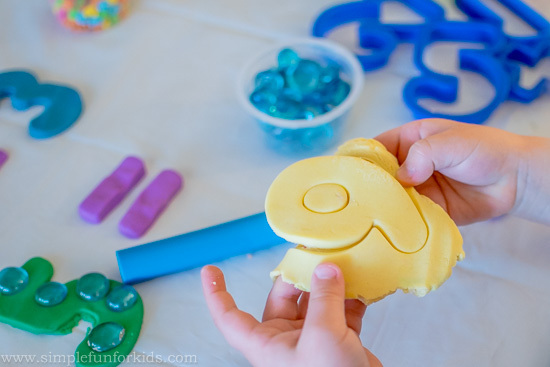 We started with a batch of fresh homemade play dough in rainbow colors that was very inviting. 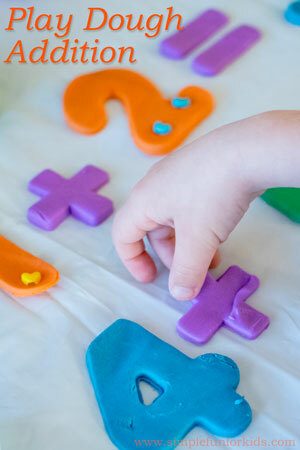 Store-bought play dough works just the same, of course, and you don’t even need different colors. 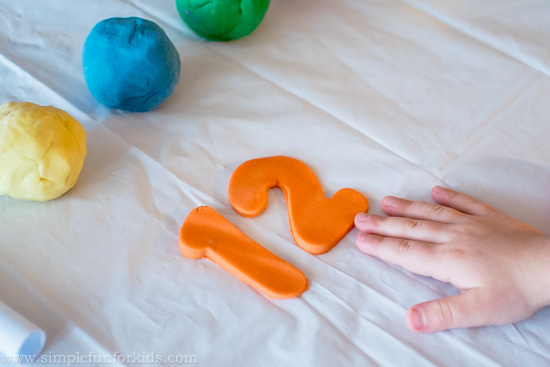 E picked two numbers and cut them from the orange play dough with her cookie cutters. 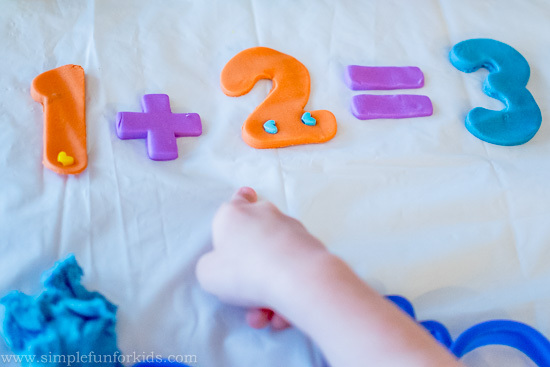 E read the equation, then placed the appropriate number of heart beads into each play dough number to find the sum. She wanted me to pick the next two numbers, and I picked 4 and 3. When she’d cut the 4, though, she noticed that we now had 1, 2, 3, 4 on the table. She used glass gems as manipulatives this time. 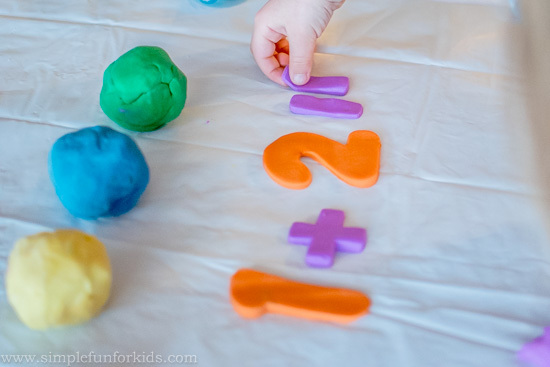 Have you tried Play Dough Addition? 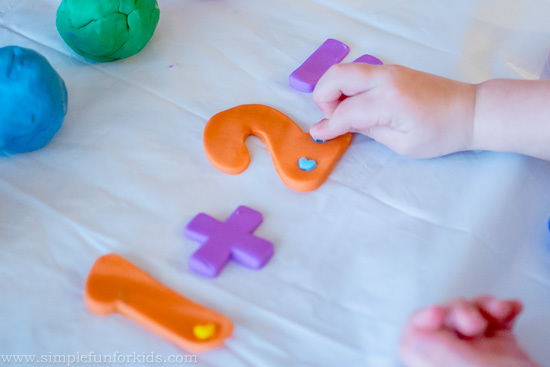 What’s your favorite hands-on addition activity? Leave a comment below! 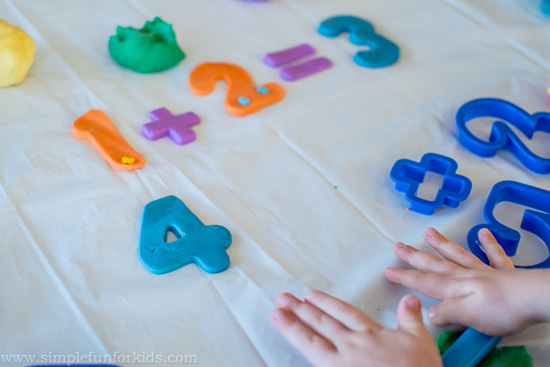 Exploring Numbers with Play Dough. We already have number cookie cutters. What a great way of putting them to use! Thanks for sharing! simple yet effective idea! really love it!! Currently doing Certificate 2 in Children’s Services and now i wish that i found this activity to do sooner for my assessment that im currently working on right now. but im sure there are plenty of other times i will be able to use this simple yet effective idea. thanks for sharing. i’ll be sure to make a note of your website. Thank you, Jacinta! I’m glad you like it, and I hope you get some use out of it, even if it’s too late for your certificate!